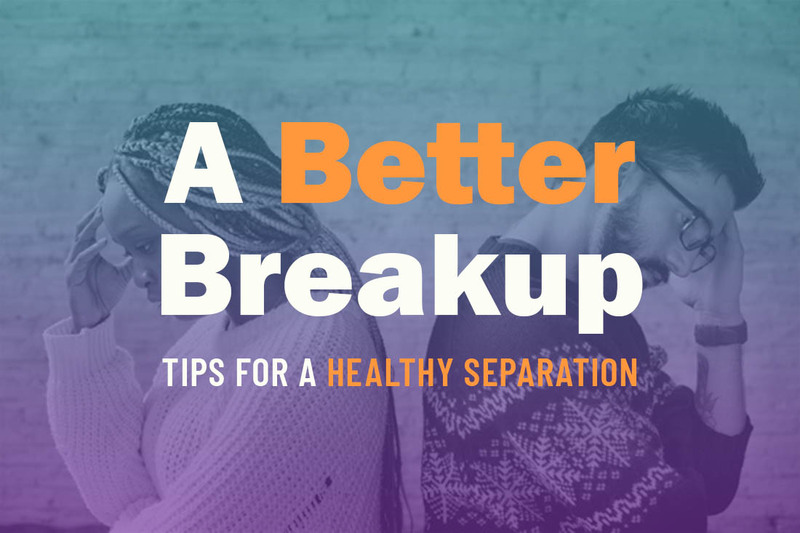 Breaks ups are one of the many things too many people experience but rarely ever talk about; unless we’re sharing horror stories or watching break up extremes caught on video. Here are some great pieces of advice that will be helpful for both you and your partner/ex. How do you decide if you should stay or leave? If you decide to stay committed to a relationship make sure to check in with yourself about the decision. How do you check in with yourself? You can sit with or imagine the idea of the relationship continuing and see if it brings you positive emotions, like joy, peace, happiness or negative emotions, like sadness, depression, frustration, devastation. 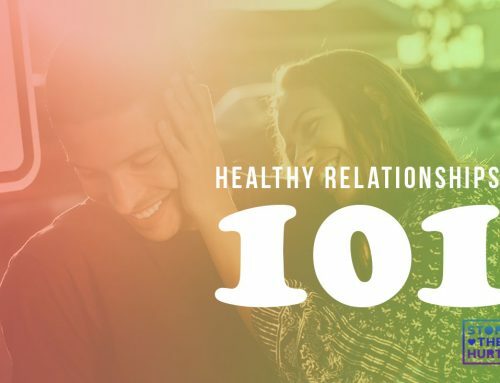 Next, identify areas and ways to help encourage or increase a healthy relationship within your partnership. For example, increasing honest and respectful communication, building trust, integrating healthy boundaries, learning to compromise, practicing commitment, and showing compassion. Remember you can only change yourself not your partner. So, once you decide to stay in your relationship, make sure you are honest with yourself about the efforts and time you will need to dedicate for the changes in your relationship. If you are in an unhealthy relationship with someone who is abusive it is important to remember you cannot change their behavior. You cannot FIX them and it not your job too. The steps you may need to take when ending an abusive relationship compared to non-abusive relationship is totally different. 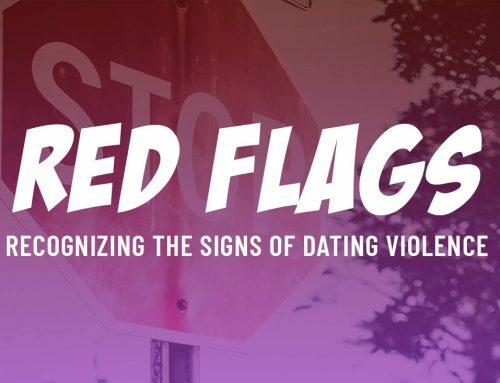 When a relationship ends an abusive ex may have challenges regulating their feelings. Typically, an abuser will show their feelings with anger and/or violence. Additionally, the abusive partner may not respect your choice to end the relationship and in return crosses boundaries. 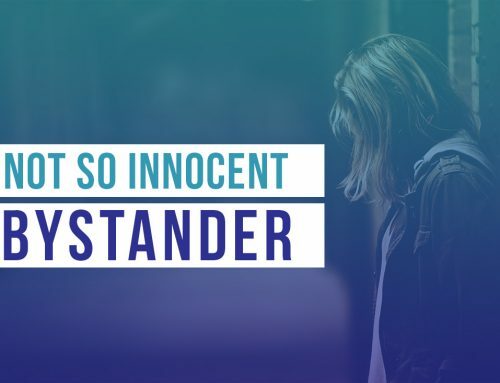 For instance, they may contact you relentlessly, try to control you through insults, guilt trips, or even threats of harming you. Be strong on your decision to end the relationship. Know what you want to say and say it clearly and confidently. Do not provide an explanation more than once. Sometimes an abuser will try to manipulate you into changing your decision based off what you said. Remember there is nothing you can say to make the situation more peaceful or make your ex happy. So, be firm on your decision. Don’t try to explain your reasons for ending the relationship more than once. 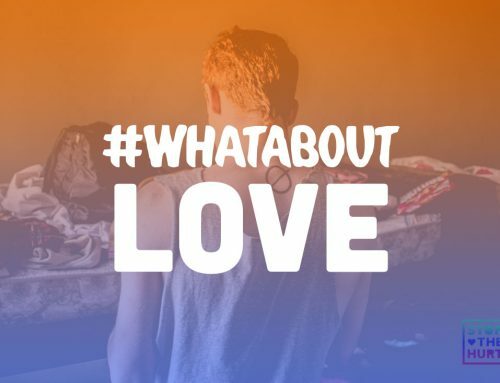 Let someone know, like a friend, family member, or counselor, that you are ending the relationship. Don’t break up in person. Safety is key. It may seem unfair or cruel but it may be the safest way to end the relationship. If you choose to break up in person, do so in a public place, like a restaurant. Additionally, make sure a supportive friend or family member is nearby to make sure you leave safely. Always have your CELL PHONE with you. Let others know where you are or where you are meeting and when you will return home. If your ex tries to confront you or is following (stalking) you remember to not let them in your protected space. Call the police. Trust your gut. If you feel unsafe and uneasiness for any reason tell someone, check your surroundings, contact the police if needed. This feeling may happen for a while after the breakup. You may also reach the Hays-Caldwell Women’s Center (HCWC) if you are planning on leaving your batterer and speak with an advocate first to help you through the process. Call HCWC at (512) 396-4357 for assistance in preparing to leave. Click here (https://www.hcwc.org/checklists/) to also read more on preparing to leave. Remember you are not a failure—there is nothing wrong for doing what is best for you. Have self-compassion- speak kindly to yourself and be patient with your healing. Seek a therapist – this can help with the healing process of guilt, shame, and/or pain, develop new goals for the future, determine how you want your next relationship to look like, or even just have someone to talk to who is nonjudgmental about your circumstance. You may have conflicting feelings about ending the relationship. Sometimes leaving is harder than we think, especially when we enjoy the company of others, miss the person, or feel confused based on our decision. Know that these feelings are normal and part of the healing process. Learn to replace available time with things productive to do like spending time with friends and family, working out, volunteering, etc.